Revealing our glamorous bride! 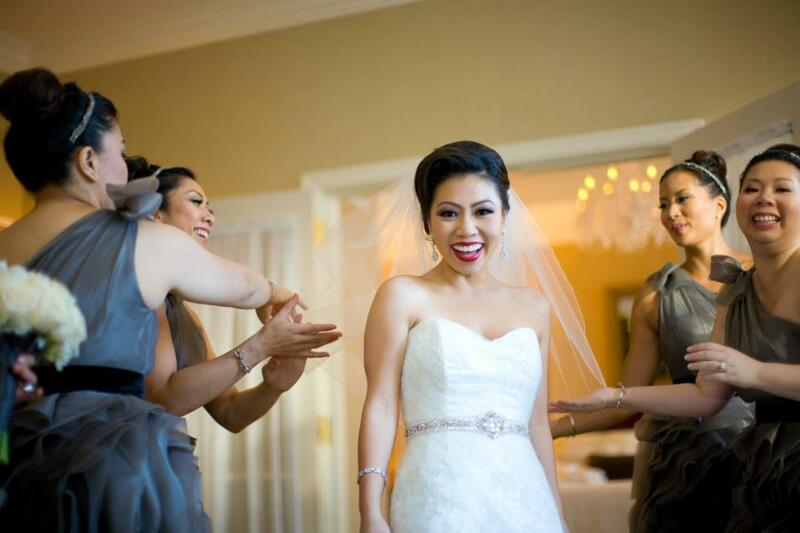 All bridesmaids are also dressed in designer Vera Wang, with a super chic hairstyle to top it off! We used stuffing extensions to give all the bridesmaids a nice healthy sized top knot. The getting ready process: Our bride opening her present amongst her friends and having a good time doing it! Everyone is fussing over our bride, and looking good doing it, including mom who is wearing a gorgeous shade of red. One final reveal before she walks down the aisle. We chose a rich red lipstick to highlight her beautiful smile. One final reveal before she walks down the aisle. The stylish bridal party at Julia Morgan’s beautiful ballroom. ← Yours Truly Gets Married!